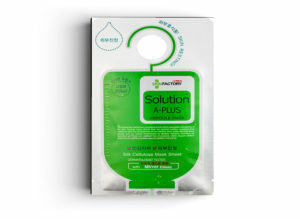 This Solution A-Plus mask is a dermatologist-tested facial mask that manages dry skin. The main ingredients are centilla extract, chamomilla flower extract, and portulaca extract. This is all delivered in the silky-smooth, high-density, cellulose sheet.